Download this two page pdf about why we need the Early Learning: Everyone Benefits campaign, what our goals are and who is involved. Join us to make your voice count for early childhood in the 2016 federal election. We invite you to join a new national campaign called Early Learning: Everyone Benefits with thousands of other early childhood, research, community and parenting organisations. 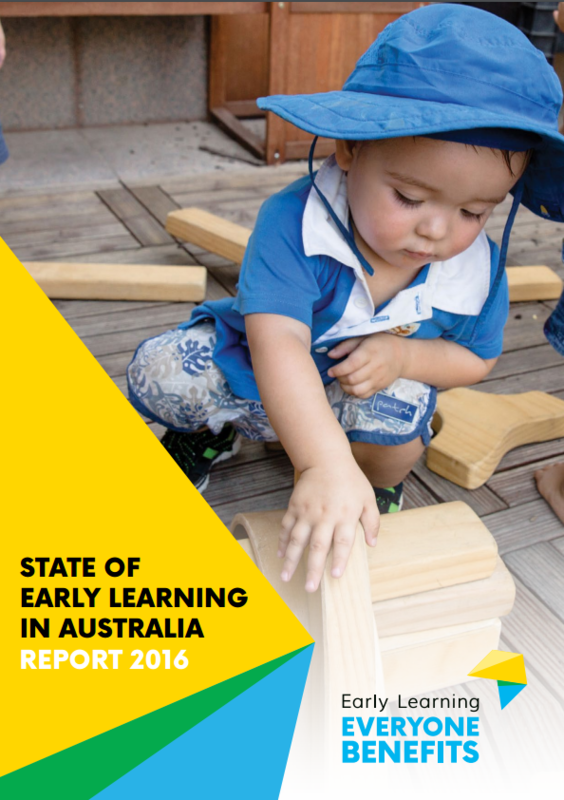 The State of Early Learning in Australia Report 2016 provides a high level snapshot of quality, participation and affordability of early childhood education and care in Australia. It highlights areas of improvement by state/territory governments and Commonwealth and shows that the state of early learning in Australia must improve to build Australia’s future prosperity.